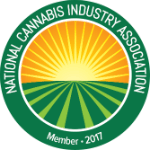 Created to provide helpful information about the New Jersey Cannabis Industry. An Alternative Treatment Center or “ATC” means the permitted alternative treatment center authorized to grow and dispense registered qualifying patients with medicinal marijuana and related paraphernalia in accordance with the provisions of the Act. At this time, the state is not accepting applications to open additional Alternative Treatment Centers. What kind of inventory tracking system do I need to operate an Alternative Treatment Center? A primary caregiver is a person who has agreed to assist with a registered qualifying patient’s medical use of marijuana. Primary caregiver cannot be the patient’s physician. Primary caregiver must be a resident of New Jersey. The primary caregiver can never have been convicted of a felony drug offense. The caregiver must be 18 years of age or older. The caregiver may only have one qualifying patient at any one time. What are the qualifications for registering as a Caregiver? Can a minor get a recommendation for medical marijuana? Patients under the age of 18 that suffer from an approved debilitating medical condition are considered minor patients and may register with the New Jersey Medicinal Marijuana Program (MMP). Minor patients are required to have a legal custodian assume responsibility as their caregiver until they are 18 years of age; at which time the patient will need to re-register as an adult. The patient’s approved MMP physician is required by the Department of Health to fill out a minor attestation. This requires written confirmation from a psychiatrist and from a physician trained in the care of pediatric patients. What are the fees associated with a medical recommendation in New Jersey? Business records include sales records that indicate the name of the qualifying patient or primary caregiver to whom marijuana is distributed, the quantity, strength and form and the cost of the product. (a) An ATC shall maintain records identifying the source of each ingredient used in the manufacture or processing of marijuana. (c) An alternative treatment center shall maintain a system of recordkeeping that will permit the identification for purposes of recall of any lot or batch of medicinal marijuana from registered qualifying patients when such is found to be unsafe for use. As part of this system, the alternative treatment center shall ensure that the container of any drug at any stage in the process of manufacture and distribution bears an identifying name and number, commonly known as a “lot” or “control” number, to make it possible to determine the complete manufacturing history of the package of the marijuana. For the latest cannabis-related legislative updates on New Jersey, check out our Cannabis Bill Tracker! NEW JERSEY SUCCESS STARTS WITH CONTACTING US!